Which Caribbean golf package is right for you? Don't buy another Caribbean Golf Package Until you Read This! Which Caribbean golf package makes sense for you? For the avid golfer a vacation in the Caribbean may be the thing of dreams. A number of resorts on the islands cater to golfers offering world class courses often designed by notable people such as Greg Norman, Pete Dye, Robert Trent Jones Sr. This combined with perfect white sand beaches, lush green rain forest areas and amazing food and drink make for the perfect vacation. If you are considering booking a Caribbean golf package, here are some tips that I hope will help you as plan. Should you go to an All Inclusive? Many resorts throughout the Caribbean now offer all inclusive deals, which can work out to be great value for money. Not only are the travel, lodgings, food and drink included in the up front price, but also, so is access to the resort’s golf course. I have heard great things about Sandals Emerald Bay which is home to the Greg Norman designed course. Depending on the resort there is often unlimited play as a possibility which would be absolutely ideal. 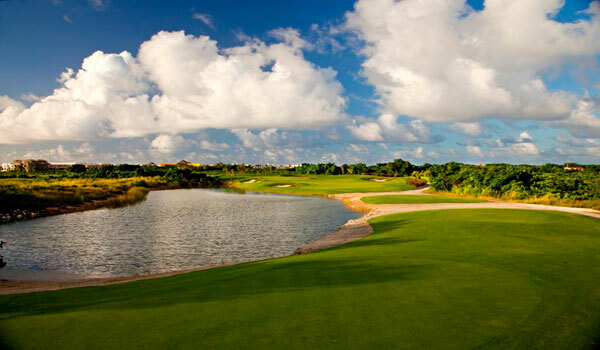 Which Caribbean Golf Package is Best? (for example Teeth of the Dog at Casa de Campo) and this will be an additional cost and don't forget to tip! Which on a positive note, the local caddies really know the course and be of great help. All most all of the caddies I have been paired up with were always professional, helpful but more importantly a lot of fun. The Caribbean islands enjoy some wonderful weather, but it must be noted that there is a distinct hurricane season. 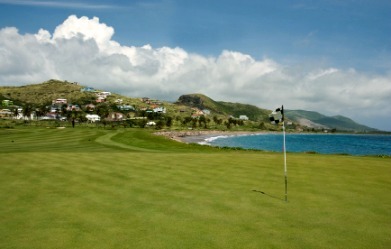 This season affects each island differently but could play a major part in booking any Caribbean golf package. For most people, they will try to avoid this season, however, it must be noted that the prices are greatly reduced at this time of year. Some brave souls decide to try their luck and go on a golf holiday during this time, and the prices can be greatly reduced. It is a risk though. Does the resort offer golf lessons? Some of the all inclusive Caribbean resorts offer golf lessons for people of all levels and what better environment could there be than to spend some time working on your game in a little slice of paradise? If travelling with children you may want to checking ahead to see if lessons are available is also an excellent idea. Take your own clubs or not? For some people, this is not even a question. Of course they will take their own clubs. However for others it may be more convenient to rent clubs on vacation. If I am going to be playing more than once than I absolutely bring my clubs. One important note for those of you decide to take your own clubs, make sure they are adequately insured. Airlines rarely lose people’s baggage but why take the chance? If the clubs should go missing during a flight, it would be a good thing if they were covered. Choosing a Caribbean golf package involves many different factors and the important thing is to plan ahead and think everything through.